You can add a lunch in Optional Extras for additional price. Meals (Lunch) or you can add a lunch in Optional Extras for additional price. You will be picked up from your hotel in Antigua Guatemala. We will take road to The Western Highlands, the region of Guatemala that most travelers think about when daydreaming about a trip to this country. The region is home to quaint and colorful mountain villages, highland lakes, pine forests, and the majority of Guatemala’s indigenous peoples. 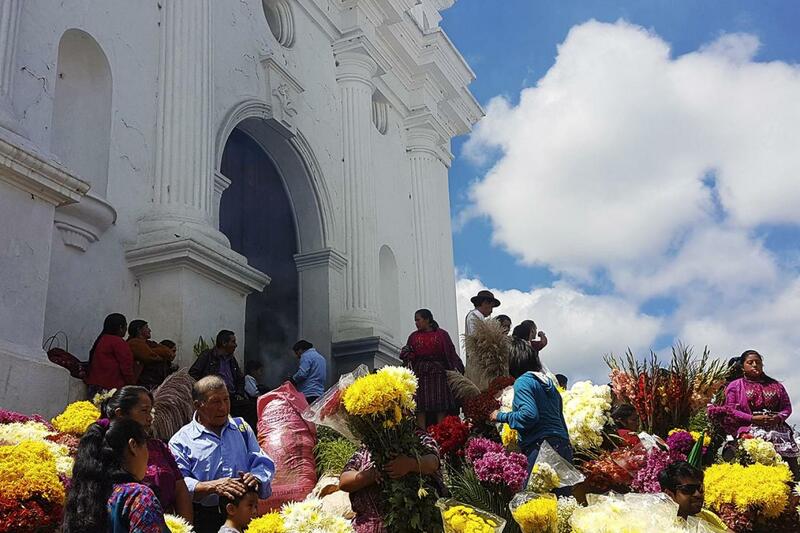 In the afternoon, enjoy a relaxing return transfer back to Antigua Guatemala. Take note the order of the itinerary of this tour can vary, sometimes we visit first the Lake Atitlan and then continue to Chichicastenango Market. Nuestro viaje a Chichicastenango fue excelente, salida a la hora acordada, la visita al mercado y la iglesia estuvo increíble y almorzar frente al lago Atitlán una experiencia única. I had a great time. The other people of the group were amazing. My phone was stolen despite following the guide's instructions, which put a damper on the experience.Otherwise, the guide was knowledgeable, helpful and professional. Juan Pablo was very knowledgeable, explained points of interest along with history and culture of the area. He was attentive to the tour members needs. We had a wonderful, knowledgeable tour guide. The day was long (about 7 to 6) but we saw a lot, learned a lot, and don't feel that we were ever in one place for too long. Our guide, Juan Pablo, was very pleasant, friendly, and informative. He showed great enthusiasm in answering all of our questions on the trip. He did an excellent job! !